“Verified Voting congratulates Christy McCormick on her election as Chair of the Election Assistance Commission and her three priorities for her tenure: election preparedness, replacing aging voting equipment, and working towards improving accessibility for all voters including voters with disabilities, military and overseas voters and limited English proficient voters. Verified Voting submits the following statement endorsing hand-marked paper ballots that are scanned as the primary voting method for voters. Verified Voting respectfully requests that this statement be shared with the entire SAFE commission in advance of the next meeting scheduled for January 10, 2019. Recommendation. 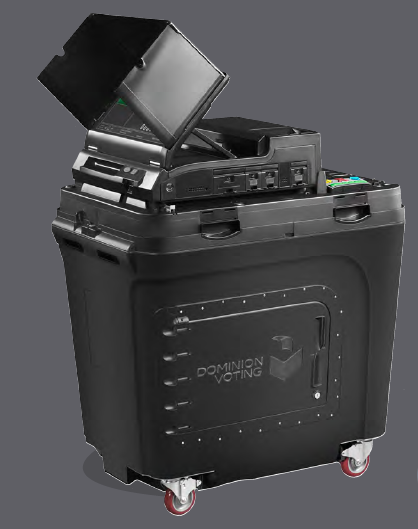 In light of the pervasive security vulnerabilities of all electronic voting systems, including Ballot Marking Devices (BMDs), as well as the considerable cost of BMDs, Verified Voting Foundation endorses the use of hand-marked paper ballots as the best primary method for recording votes in public elections. BMDs do play an important role for some voters, including voters with disabilities, that prevent them from hand-marking paper ballots. However, the primary voting method for most voters should be hand-marked paper ballots. Rationale. Hand-marked paper ballots offer better voter verification than can be achieved with a computerized interface. A paper ballot that is indelibly marked by hand and physically secured from the moment of casting is the most reliable record of voter intent. A hand-marked paper ballot is the only kind of record not vulnerable to software errors, configuration errors, or hacking. With hand-marked paper ballots, voters are responsible only for their own errors, while with a BMD, voters are responsible for catching and correcting errors or alterations made by the BMD. Consequently, well-designed hand-marked paper ballots combined with a risk-limiting post-election tabulation audit provide the gold standard for ensuring that reported election results accurately reflect the will of the people. This can be seen as a refutation of Ballot-Marking Devices as a concept. Since we cannot trust a BMD to accurately mark the ballot (because it may be hacked), and we cannot trust the voter to accurately review the paper ballot (or even to review it at all), what we can most trust is an optical-scan ballot marked by the voter, with a pen. Although optical-scan ballots aren’t perfect either, that’s the best option we have to ensure that the voter’s choices are accurately recorded on the paper that will be used in a recount or random audit. This article was originally posted at Freedom to Tinker on October 19, 2018. States and counties should not adopt DRE+VVPAT voting machines such as the Dominion ImageCast X and the ES&S ExpressVote. Here’s why. Touchscreen voting machines (direct-recording electronic, DRE) cannot be trusted to count votes, because (like any voting computer) a hacker may have installed fraudulent software that steals votes from one candidate and gives them to another. The best solution is to vote on hand-marked paper ballots, counted by optical scanners. Those opscan computers can be hacked too, of course, but we can recount or random-sample (“risk-limiting audit”) the paper ballots, by human inspection of the paper that the voter marked, to make sure. Fifteen years ago in the early 2000s, we computer scientists proposed another solution: equip the touchscreen DREs with a “voter verified paper audit trail” (VVPAT). The voter would select candidates on a touchscreen, the DRE would print those choices on a cash-register tape under glass, the voter would inspect the paper to make sure the machine wasn’t cheating, the printed ballot would drop into a sealed ballot box, and the DRE would count the vote electronically. If the DRE had been hacked to cheat, it could report fraudulent vote totals for the candidates, but a recount of the paper VVPAT ballots in the ballot box would detect (and correct) the fraud. The VVPAT is printed in small type on a narrow cash-register tape under glass, difficult for the voter to read. It’s not clear to the voter, or to the pollworker, what to do if the VVPAT shows the wrong selections. Yes, the voter can alert the pollworker, the ballot will be voided, and the voter can start afresh. But think about the “threat model.” Suppose the hacked/cheating DRE changes a vote, and prints the changed vote in the VVPAT. If the voter doesn’t notice, then the DRE has successfully stolen a vote, and this theft will survive the recount. If the voter does notice, then the DRE is caught red-handed, except that nothing happens other than the voter tries again (and the DRE doesn’t cheat this time). You might think, if the wrong candidate is printed on the VVPAT then this is strong evidence that the machine is hacked, alarm bells should ring– but what if the voter misremembers what he entered in the touch screen? There’s no way to know whose fault it is. Voters are not very good at correlating their VVPAT-in-tiny-type-under-glass to the selections they made on the touch screen. They can remember who they selected for president, but do they really remember the name of their selection for county commissioner? And yet, historically in American elections, it’s as often the local and legislative offices where ballot-box-counting (insider) fraud has occurred. Written Testimony of Verified Voting President Marian K. Schneider before the Pennsylvania Senate State Government Committee Public Hearing on Senate Bill 1249 and Voting Machine Demonstration, September 25, 2018. Download as PDF. Thank you Chairman Folmer, Minority Chair Williams, and members of the Committee for allowing Verified Voting to submit written testimony in connection with the Senate State Government Committee hearing. We write to address the security risks presented for Pennsylvania’s counties and the need to expeditiously replace aging and vulnerable electronic voting systems. We urge the Committee to recommend that the Commonwealth appropriate adequate funding to permit counties to replace their aging electronic voting systems as soon as possible. Verified Voting is a national non-partisan, non-profit research and advocacy organization committed to safeguarding elections in the digital age. Founded by computer scientists, Verified Voting’s mission is to advocate for the responsible use of emerging technologies to ensure that Americans can be confident their votes will be cast as intended and counted as cast. We promote auditable, accessible and resilient voting for all eligible citizens. Our board of directors and board of advisors include some of the top computer scientists, cyber security experts and statisticians working in the election administration arena as well as former and current elections officials. Verified Voting has no financial interest in the type of equipment used. Our goal is for every jurisdiction in the United States to have secure and verifiable elections. There are two basic kinds of electronic voting systems in use in Pennsylvania: Direct recording electronic (DRE) or optical scan systems. Both types of systems are computers, and both are prepared in similar ways. The primary difference is that an optical scan system incorporates a voter-marked paper ballot, marked either with a pen or pencil or with a ballot marking device and that ballot is retained for recounts or audits. Optical scan systems leverage the speed of the computer to report unofficial results quickly. The presence and availability of that paper ballot provides a trustworthy record of voter intent and allows jurisdictions to monitor their system for problems, detect any problems, (either hacking or error), respond to them and recover by, if necessary, hand counting the paper ballots. Seventeen counties in Pennsylvania already benefit from the security protection of paper ballots. This article was originally posted at the Freedom to Tinker blog. This article was originally posted at phys.org. Election officials have an important role to play in protecting election integrity. Citizens, too, need to ensure their local voting processes are safe. There are two parts to any voting system: the computerized systems tracking voters’ registrations and the actual process of voting – from preparing ballots through results tallying and reporting. In addition to Ron Rivest and Andrew Appel, Verified Voting’s own Barbara Simons, David Dill, Philip Stark, Matt Blaze, Doug Kellner, and Alex Halderman reviewed the report ahead of its release. The infographic is part of a series of visuals Verified Voting is creating. This piece breaks down RLAs in a flowchart, and follows the release of “Safeguarding Our Elections: The Solutions to Vulnerabilities in Election Security,” this past June. You can download the infographic here or find it on our Twitter or Facebook. Summer is here and that means Verified Voting’s work is heating up! In the past few months Verified Voting has added staff, increased our state work, produced a valuable toolkit for election officials and advocates that received press in POLITICO and The Hill and created a set of infographics and maps which appeared in the Wall Street Journal and NPR (make sure to scroll down to see Verified Voting’s latest infographic: “Safeguarding Our Elections: The Solutions to Vulnerabilities in Election Security”). The infographic is the first in a series of visuals Verified Voting is creating. This piece breaks down the state of our elections, which states are most vulnerable, the solution and what people can do. We urge you to take a look and share with your networks. You can download infographic or find it on our Twitter or Facebook. On March 23rd, Congress allocated $380 million to states to upgrade election security. This is a positive development. In the age of unprecedented hacking risks, researchers have found that electronic voting infrastructure — including voting machines and registration databases — have serious vulnerabilities. While there’s no evidence that vote totals were hacked in 2016, there’s strong evidence that hackers have been testing the waters. While federal funding can help states address these issues, simply upgrading or replacing election infrastructure is not sufficient. It is essential that states work with the Department of Homeland Security or other trusted providers to scan their systems for cyber vulnerabilities, and follow best practices identified by computer scientists, national security leaders, and bipartisan experts in elections administration to mitigate hacking risks. On March 20, the Senate Select Committee on Intelligence released its long-awaited recommendations on election security and concluded that requiring paper ballots, banning wireless components and implementing statistically sound audits of election results are essential safeguards. Last year, a group of 100 leading computer scientists and other election administration experts voiced the same conclusion. Through years of researching voting equipment security in real election administration environments, the National Institute of Standards and Technology (NIST) has come to similar conclusions about what it will take to defend elections. (1) Replace paperless voting machines with systems that count a paper ballot — a physical record of the vote that is out of reach from cyberattacks. (2) Conduct robust post-election audits in federal elections. Congress explicitly requested that states “implement a post-election audit system that provides a high-level of confidence in the accuracy of the final vote tally” as part of its report language accompanying the Omnibus. Well-designed audits involve election officials checking only a small random sample of the voters’ choices on paper ballots so that they can quickly and affordably provide high assurance that the election outcome was accurate. (3) Upgrade systems to ensure that states’ election websites, statewide registration systems, and election night reporting systems are defended against threats of intrusion and manipulation. (4) Prohibit wireless connectivity in voting machines to limit vulnerabilities to hacking risks. (5) Train and educate election officials at all levels on how they need to incorporate security into their elections practices. We, the undersigned, believe that these represent sensible and cost-effective solutions to the rising challenges of election security. We urge you to take steps to safeguard elections using these proven best practices.